WARNING – Staying in a Pigeon Forge Cabin with a mountain view from American Patriot Getaways might make you never want to leave your cabin!! 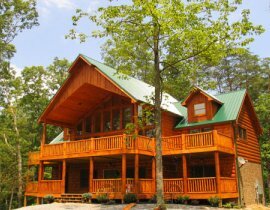 Pigeon Forge, Tennessee offers vacationers endless options for activities, dining, shows, and attractions, but you may never leave the cabin to enjoy them when you are hypnotized by the spectacular mountain views from one of our Pigeon Forge cabins with views. The incredible scenery of the Smoky Mountains is mesmerizing and staying in a cabin with a mountain view is a great way to enjoy your next Smoky Mountain adventure. 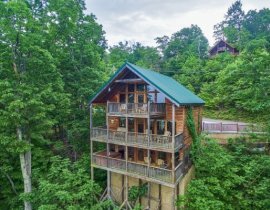 Whether you’re searching for a honeymoon cabin for two or a luxury cabin for 20, American Patriot Getaways has a Pigeon Forge cabin with mountain views for you! 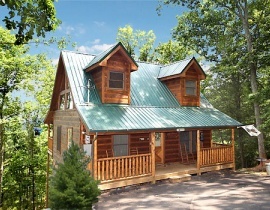 No one beats our selection of Pigeon Forge cabins. 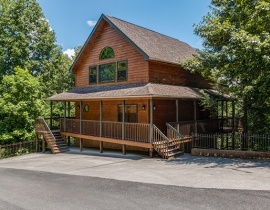 To find the perfect cabin with a mountain view for your next Pigeon Forge vacation, you can search our website by Pigeon Forge Cabins with Views, or just give our friendly staff a call at . 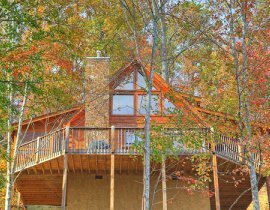 We stand ready to help you locate the perfect Pigeon Forge cabin with mountain views for your getaway!